The UK317 server was first started in January 2013 by Derek Haselden (Derek317) in response to the demise of Gamespy hosted multiplayer games. The server has been almost constantly on-line since, only taken offline for periodic maintenance or updates. In September 2013 UK317 teamed up with Western Air Academy (WAA) providing weekly events featuring live ATC coverage. In February 2014 ATCMagic came on board and in early 2018 Heritage Flight joined as well and all four: UK317, WAA, ATCMagic, and Heritage Flight participate in regular sessions and events on the server. WAA is a UK based FSX user group, training academy and virtual airline founded by Owen Stringer who is a real world PPL holder. The WAA team consists of several enthusiastic flight simmers and real world pilots who can offer flying lessons or you can fly for their airline. ATCMagic are the second UK based FSX user group who share the UK317 server. 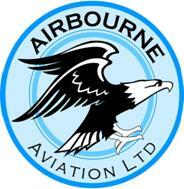 Recent regular users of the server now includes Heritage Flight who specialise in the use of vintage/heritage aircraft. Below is a list of details of planned events. Apologies in advance but life outside of FSX may interfere with events and some details are liable to short notice alterations. UK clocks go forward one hour (GMT/Zulu +1) on Sunday 31st March 2019 - BST starts. UK clocks go back one hour (BST/DST -1) on Sunday 27th October 2019 - BST ends. · ATC with poor visibility and SRA or PAR approaches. · Search and Rescue operations.